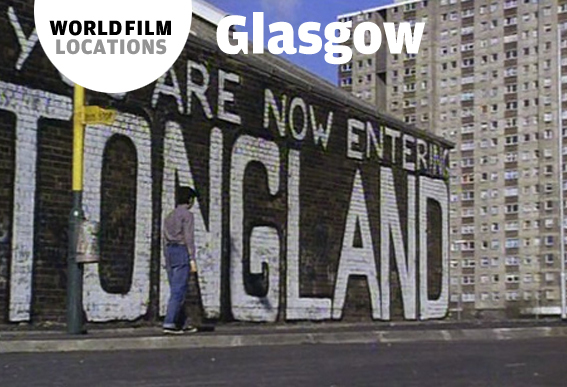 World Film Locations: Glasgow is one of the latest releases in Intellect’s World Film Locations book series. Representing Scotland’s biggest city, it is a book of contrasts, from Glasgow’s kitchen sink social realism by Ken Loach and Peter Mullan to the recent trend for using Glasgow as a set for Hollywood backdrops. Last year the city was redressed as Philadelphia for World War Z and transformed into 1970s San Francisco as part of Cloud Atlas. It is a city steeped in cinematic history, and World Film Locations: Glasgow aims to capture important moments and movements, as well as acting as a guide for viewers and visitors. 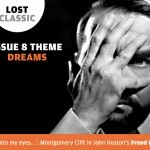 As with every book in the series, it is impossible to be all-encompassing, and in order to select a representative sample of Glasgow on film, a few films – some of them real Glasgow gems – did not make the final cut. 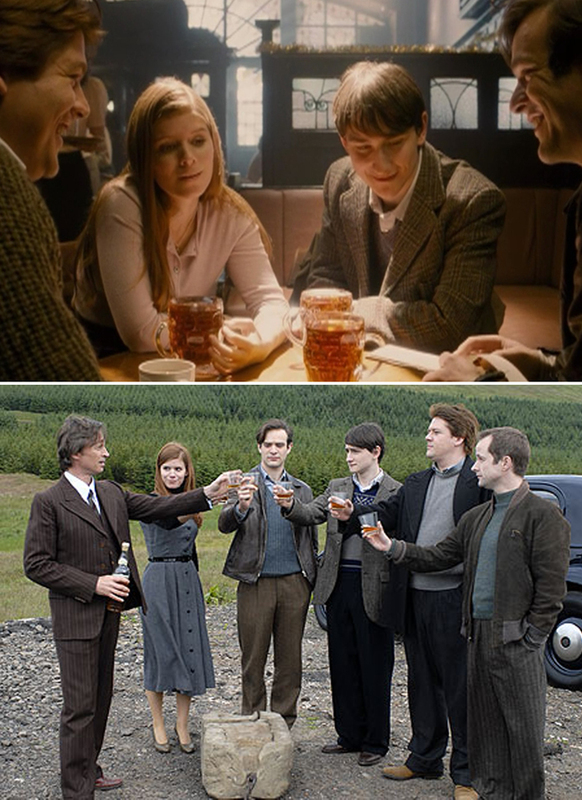 With that in mind, we have compiled a few of the additional web exclusive scenes from World Film Locations: Glasgow especially for Big Picture Magazine readers. Derelict sites, domineering high-rise flats, and smog-tarnished tenements signify the threatening Glasgow ganglands of Gillies Mackinnon’s 1960s-set Small Faces. So it’s a dramatic contrast to find one notorious gang use a comparatively opulent art gallery as their nighttime playground. Interestingly, art runs throughout this film even amid the two main gangs’ vicious territorialism. The opening titles reveal a cartoon map of Glasgow illustrating gang territories and simultaneously satirizing the leaders and their associated bloodshed. There’s a mischievous tour of Glasgow School of Art and, now, the night at Kelvingrove. Central protagonist, 13-year old Lex Maclean (Iain Robertson) has accidentally shot the infamous leader of the Tongs and desperately seeks protection from rival gang-leader, Charlie Sloane (Garry Sweeney). 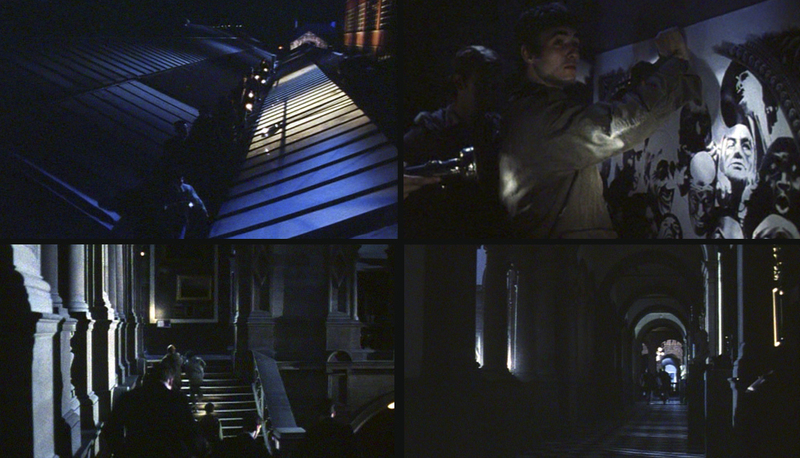 His ‘initiation’ shows Lex being hoist by a rope from a rooftop into a black void, screaming, “it’s an art gallery.” No routine break-in, Sloane knew this was his chance to be immortalized in art. He had already cajoled Lex’s artistic brother Alan (Joe McFadden) into producing a drawing “in your official capacity” for the Glen gang. Now inside the gallery, Alan contentedly draws Sloane’s portrait – into an existing artwork. Like everyone else, except Lex, he appears to swallow the image of Sloane as a cultured patron of the arts – as Lex sarcastically suggests, “a real working-class Medici”. Locations: Glasgow Helipad, St. Vincent Place, view from Queen’s Park, and St. Mungo statue at Kelvingrove Art Gallery and Museum. Carter Ferguson’s romantic comedy Fast Romance is a celebration of cinematic Glasgow. 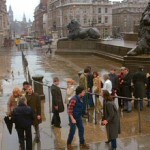 The film pays homage to the city, as well as to notable Scottish films, many of which were set in Glasgow. 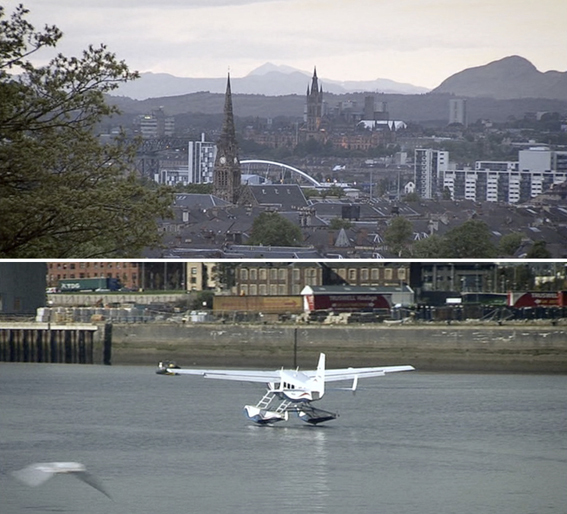 The opening shot is of a seaplane on its descent into Glasgow City Heliport. This Hollywood trope aids the viewer into the narrative and functions as a movie introduction into the city. This image is intercut with others of Glasgow: a bustling St. Vincent Street, a fast-paced Charing Cross, views from Queen’s Park looking out over the city, and a statue of St. Mungo at Kelvingrove Art Gallery and Museum. This based-on-real-events story of how Glasgow University law student Ian Hamilton and a group of friends stole the Stone of Scone from Westminster Abbey in 1950 caused a minor stir upon release with its shortbread tin depiction of Scotland. With the country viewed by many as little more than an English colony, idealistic student Hamilton assembles a ragtag group for whom the ancient coronation stone is a symbol to be used as support for the groundswell of feeling over Scottish independence at the time. 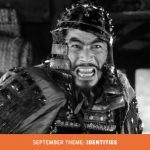 But the film is a caper, a highly romanticised confection probably made more to appeal to international audiences who still cling to notions of Brigadoon and Braveheart than as any sort of rallying call for modern Scots. When Paddy Considine released his 2011 feature debut, Tyrannosaur, to universal acclaim, critics were quick to note that the film was an extended version of his BAFTA-winning short, Dog Altogether. Both revolve around Joseph (Peter Mullan), a troubled, violent drunk first seen fatally kicking his dog in anger. Later, after an altercation in a pub, Joseph takes refuge behind a rack of clothes in a Christian charity shop, whose owner (Olivia Colman) prays for him. The next morning, after Joseph is himself beaten up, she arrives at work to find him lying on her storefront. Due to funding stipulations, the two films were shot in different cities – Tyrannosaur in Leeds, Dog Altogether in Glasgow – but Considine mostly strips away recognisable landmarks to make Joseph’s surroundings universal, an Everyplace of despair and deprivation. Without local knowledge, it’s hard to spot the joins, although the concrete tower blocks looming in the background place Dog Altogether’s shop to Glasgow’s Townhead area, specifically the run-down Kennedy Path, where an empty retail unit was hired and dressed for the shoot. 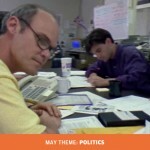 Nicola Balkind, Nicola is a writer and editor based in Glasgow, Scotland. She is the author of Fan Phenomena: The Hunger Games and editor of World Film Locations: Glasgow, both published by Intellect Books.